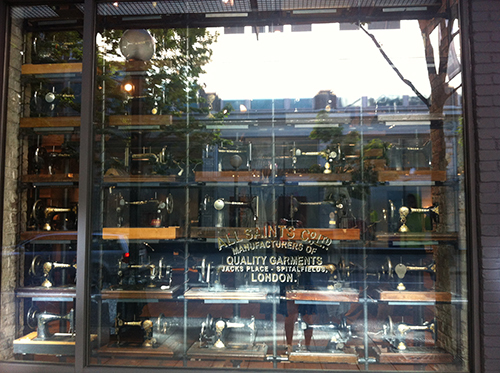 There was no blog post on Friday, I know. 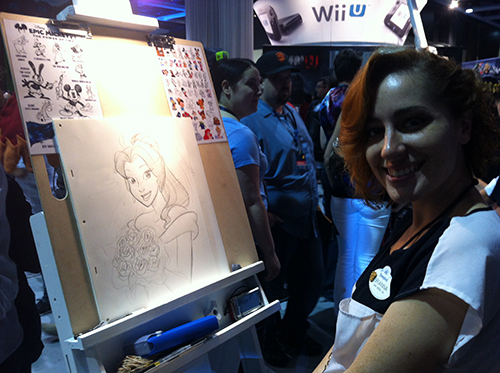 I got crazy busy preparing for PAX and had no time to write a post in advance. And then as of Wednesday I was in Seattle doing pre-PAX stuff, and then PAX stuff, and it was crazy and wonderful and exhausting and left no time for blog posts. I regret that I didn’t have a chance to take many pictures at PAX this year, (or just forgot because I was so busy doing things), but I will share with you the few photos I did get of a bunch of random things. 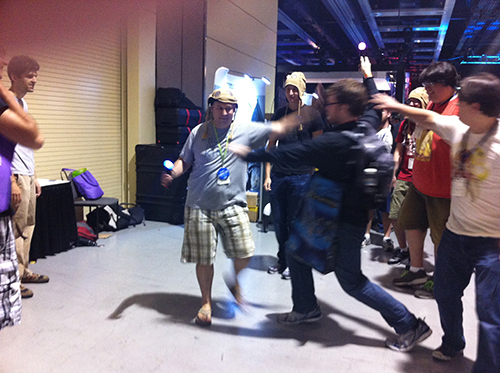 A sort of PAX scrapbook. 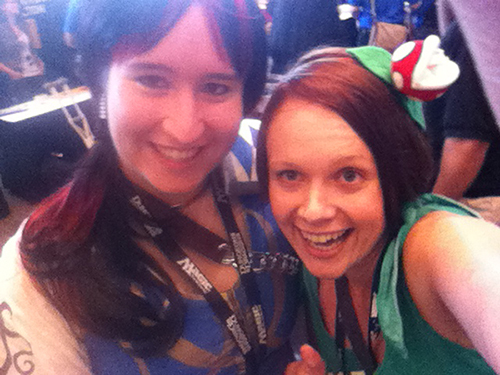 Starting off this little PAX blog album, I had great fun wearing the geeky outfits I’d prepared, foremost being the galaxy dress that you see at the top of this post and that I actually had to tear apart three times before finally getting it right. 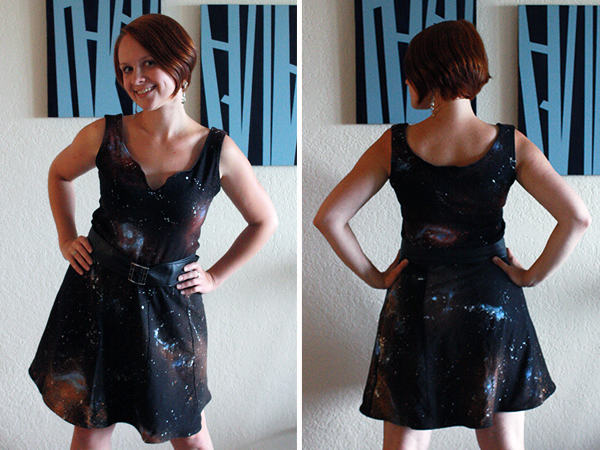 You can see some details about the making of the dress here, and get tips on making your own galaxy fabric here. 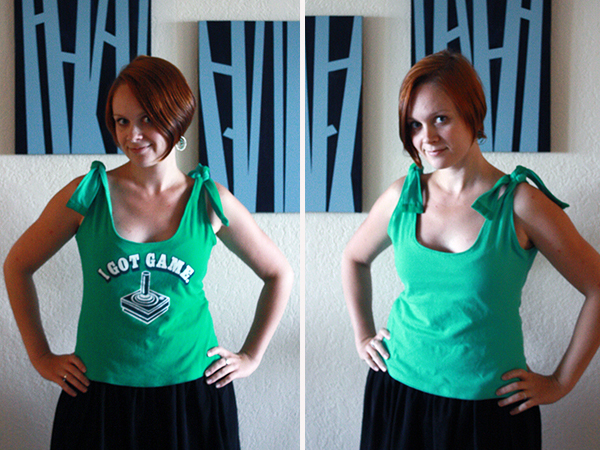 I also wore an I Got Game shirt that I was given in a secret santa gift exchange, with the idea that I would mod it. Well mod it I finally did, into the tank top you see below. Instead of making a dress, I decided to use the extra fabric to make those shoulder ties. 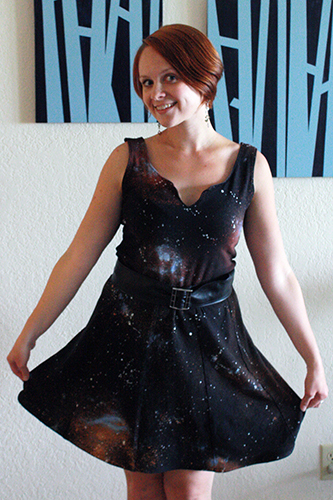 The shirt is also fully reversible, in case I want to wear it for a non-geeky function. Which may or may not ever happen, but I think two-shirts-in-one is generally a pretty sweet idea. Should have gotten a better photo of just her and her costume, but as you can sort of kind of see, she’s made herself a very thoroughly detailed Jhoira outfit. It looks great! 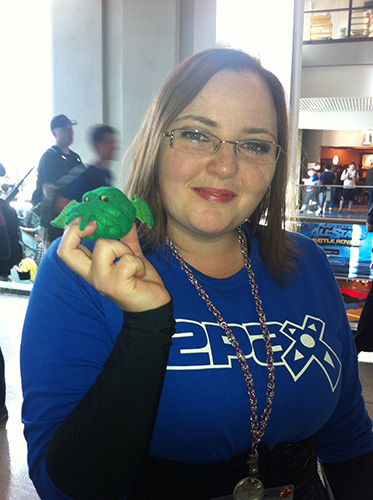 I also wore my octopus fascinator a bit, the same one that went over so well at Calgary Comic Con. 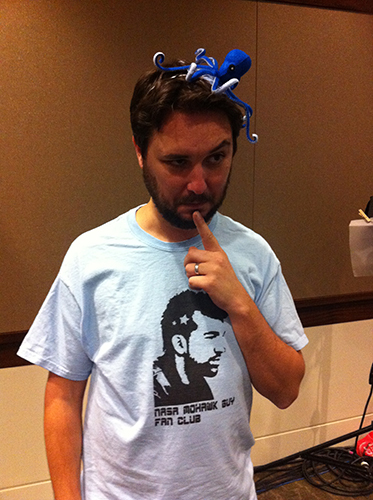 I took it to the crafting panel to for an in-person example of my work, where Wil Wheaton was rather taken by its charms and intrigued to learn that this cephalopod could, in fact, be worn upon one’s head. He tried it on and posed for the camera – I believe this was supposed to be a “coy” expression. As several people on Twitter have commented, he’s also wearing a thoroughly awesome shirt. 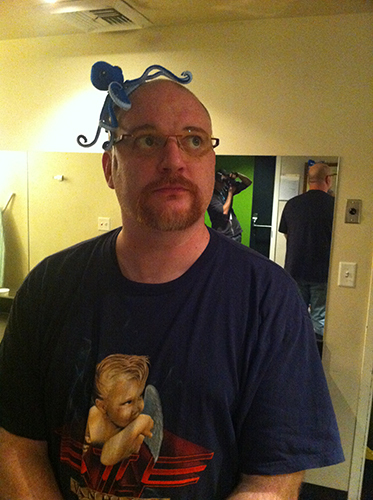 I’d also previously conspired with Stepto to have him wear the octopus at some point during Sunday’s Kris and Scott show. Here he is trying it on backstage. We figured (and found it to be true) that it would surely show up to full and glorious effect on his head. We weren’t able to stay for Sunday’s Kris and Scott live show, alas (heard it was aweeeeesome), but I did get to see Thursday’s, as my dear b/f and friends at LoadingReadyRun were part of the show. Which means that I took a whole bunch of grainy pictures from the green room viewing area. I will inflict only one of them upon you now. You can see a bunch more much better quality photos taken by my friend @Mulvah, and a number of excellent shots taken by Greg Bilsland. 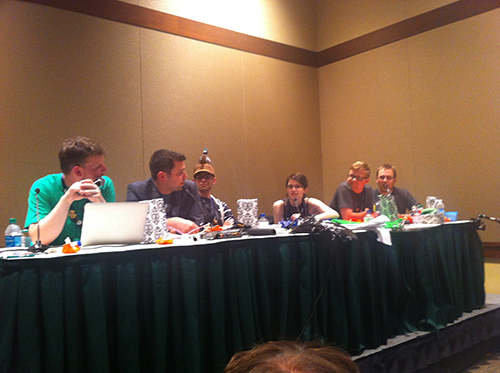 My first panel experience (in terms of being on one) at PAX was incredible. My panelists – Heather, Amanda, Punzie, Charlie and Anne – were fantastic, and we all had a fantastic time. I’m not saying the panel was perfect, but I think it went well, we enjoyed it, the audience seemed to enjoy it, and believe me I will be doing this again (given future panel submission acceptance, of course). 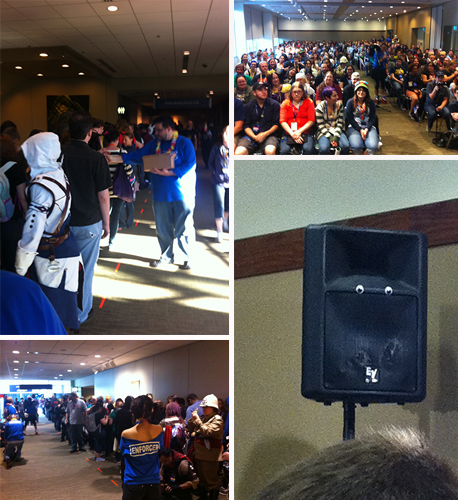 Our panel had a line – our very first line, and it grew so quickly! *tear* Of course we took pictures of our line. And we filled the room! I’m so sorry to everyone that got turned away. The good news is that a delightful LRR forumite and Desert Bus craftalonger filmed the whole thing, so I’ll be sure to let everyone know when and where that video is posted. 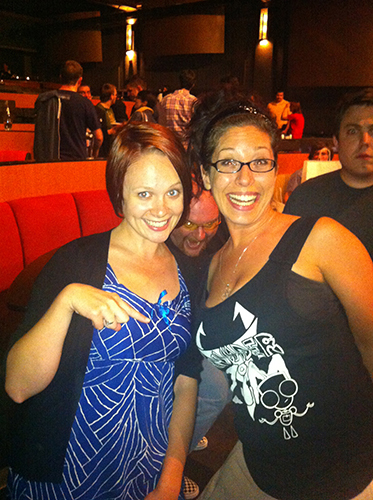 Annie, the lead Enforcer for our theatre, was fantastic, as were the Enforcers who helped us deal with the ridiculous tech issues we somehow managed to have. Not that any of that is surprising, since all the Enforcers are absofreakinglutely awesome. Below: our line (to which some brilliant enforcers handed out pipe cleaners for in-line crafting), our full room awaiting crafting panel goodness. And Anne’s vandaleyes’ing of the room, which I didn’t even notice until I returned to that room later for another panel! 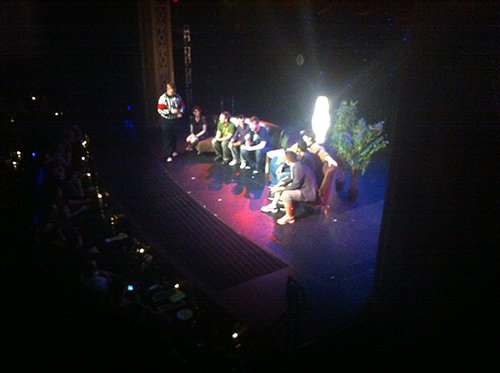 After the panel I stopped in at the Magic the Gathering party – boy do those people ever know how to throw a good party! Last year’s was great, this year’s may have been even better. 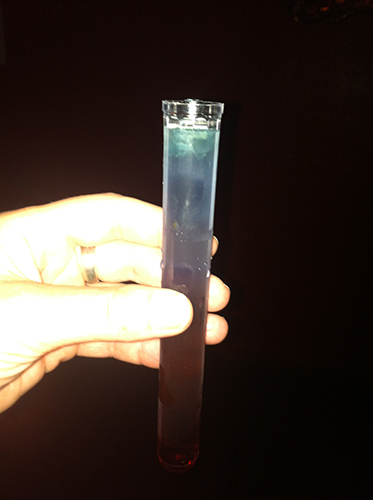 Among other things, I had a drink that came in a test tube (SCIENCE! Or, well, MAGIC!) 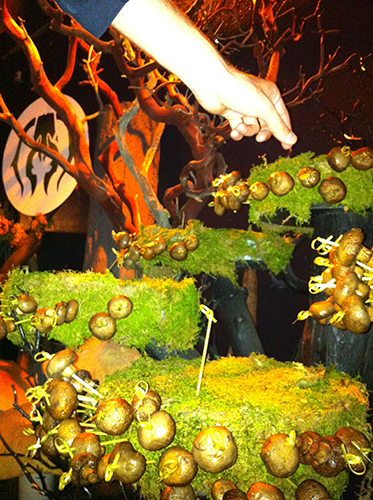 and gathered mushroom appetizers off a wonderful mossy mushroom tree display. 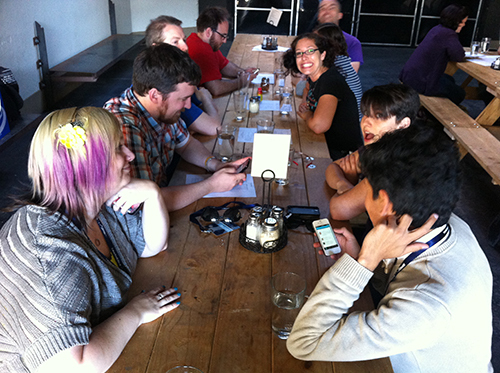 There were also awesome people, gorgeous new Ravnica card art, a crazy dance floor and a delightful spread of food. Sadly we had to leave the party early for the LoadingReadyRun panel, which sort of turned into a three-hour stories-with-LRR event. Very fun, lots of great people in attendance. 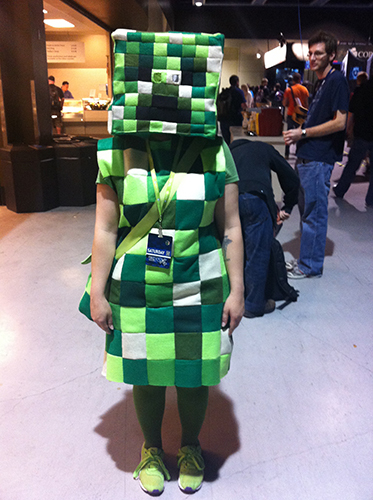 Other things from the weekend: I spotted the most excellent Creeper costume I’ve ever come across, which was made of quilted felt squares. 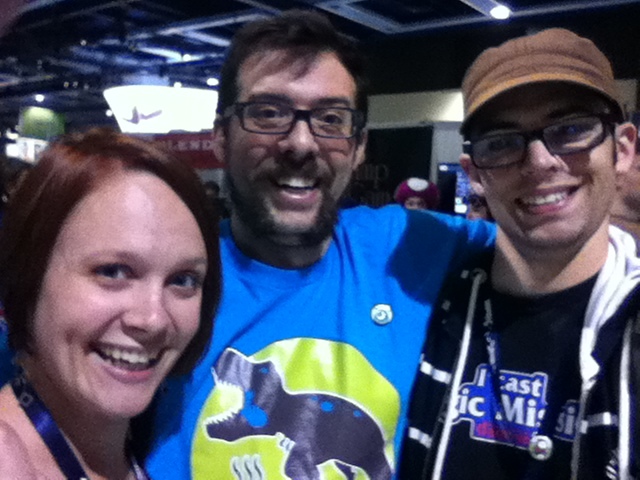 Jeremy and I finally got to see the delightful @SeanTheBaptiste again! He was hanging out with some awesome dinosaurs all weekend, because he’s just that cool. We played Bang! with our friends Matt and Nicole and Thomas, and then again with a bunch of folks on Sunday night at Card Kingdom and Café Mox, which are awesome places that I wish we had where I live. 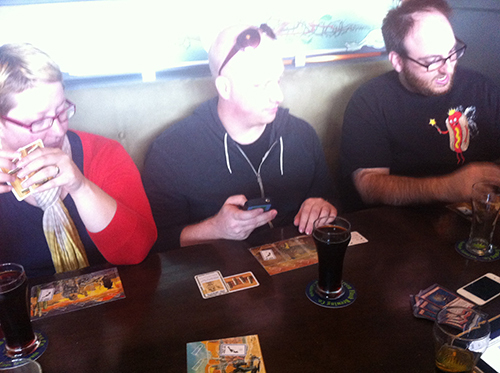 For those who don’t know, Card Kingdom is a game store – an amazing, gorgeous, thoroughly stocked game store) and Café Mox is the bar attached to it, where you can eat, drink and play games with your friends. So. Good. and I talked to people about how to mod t-shirts and how gorgeous Ravnica is going to be (spent the Magic panel looking at the new Ravnica art & muttering “plushie, plushie, plushie” to myself) and Desert Bus and googly eyes and knitbombing and silly hats and Mass Effect and half a hundred other things. I talked to a ten-year old who was admiring my octopus fascinator about crafting, and she showed me pictures of the adorable clay ponies she’d made for herself and her sisters. 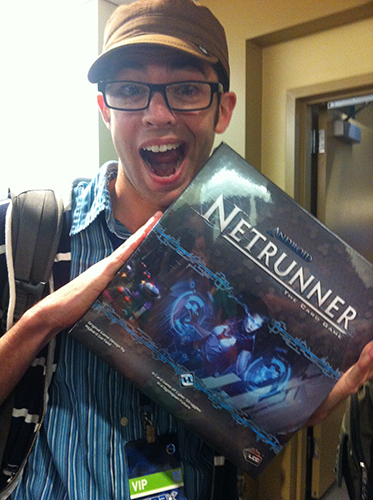 I had an utterly phenomenal time at PAX. I did so many things, and saw so many people, and yet I know I still missed out on all but a fraction of what PAX has to offer. And that’s kind of part of the awesome – there’s just so darn much of it to go around. 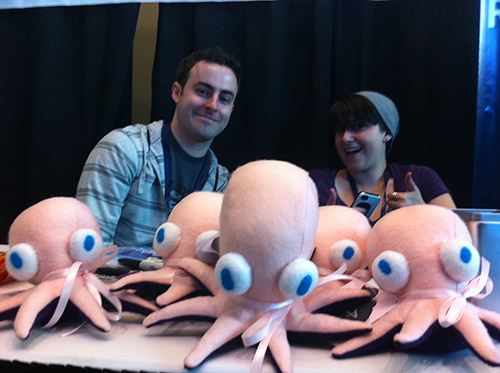 Thank you to every single one of you who helped make this PAX so amazing. Can’t wait for next year! Oh man, this party is totally going to happen now! 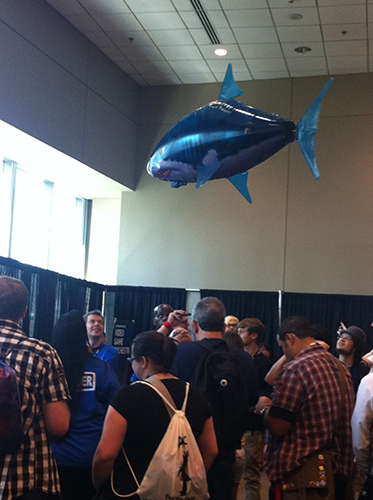 Never mind an under-the-sea party, I think a straight up shark party is what’s in order. And shark hats for everyone!